that I have pictured in my head. 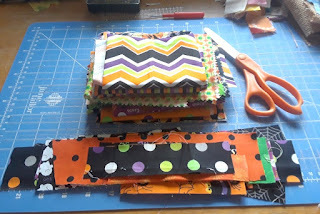 These little blocks put a major dent in my Halloween stash! 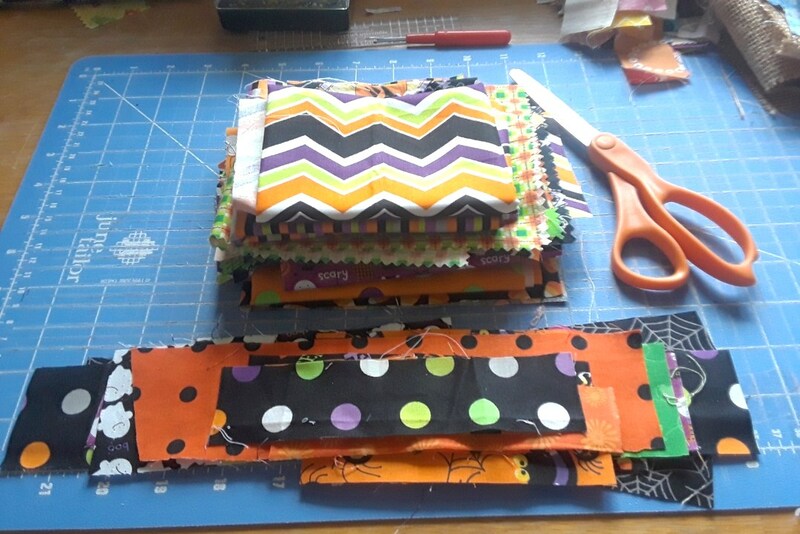 Congrats on making a dent in your Halloween stash of fabrics!! 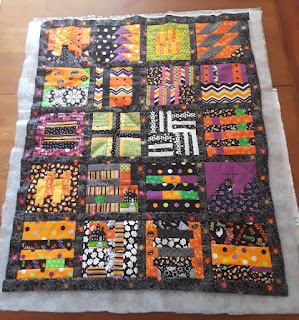 Love your Halloween quilt, not too scary. 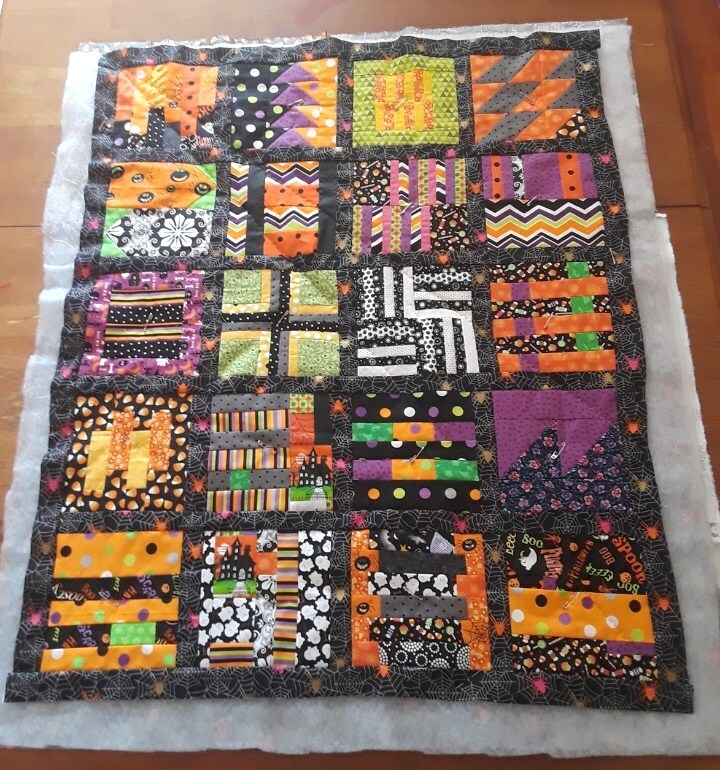 A very fun Halloween quilt. Congrats on the finish. A quilted spider web? That's going to be so cool when it's finished. Good luck with the math end of that.